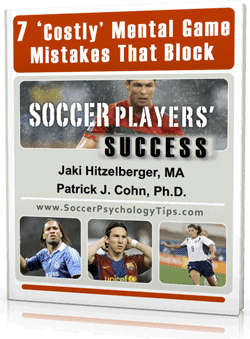 Do you believe in your ability to perform successfully during soccer games? Can you keep a high level of confidence even after mistakes? 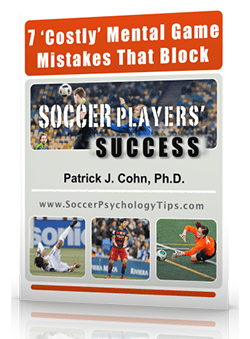 Lots of things can hurt your confidence in soccer, such as mistakes, losses, not being selected for a team, lack of playing time, what coaches and teammates say, playing against high level opponents, etc. Yes, confidence can be fragile for soccer players. 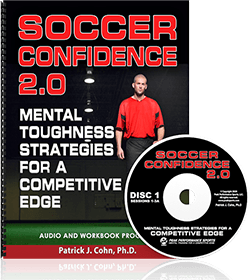 Without stable confidence, it’s hard for players to bounce back from mistakes, defeats and poor performance. Cameroon native Tony Tchani, 25, is a midfielder for the Columbus Crew in Major League Soccer. Tchani was drafted in the first round (2nd overall) of the 2010 MLS Draft after a productive college career at the University of Virginia. Despite entering the league with much promise, Tchani’s lack of confidence has contributed to his inconsistent play and reduction in playing time over the past two seasons. Mere ability won’t get the job done. Peak performance requires a combination of ability and confidence that leads to mentally tough play on the field. Take responsibility for your level of confidence. Mistakes or other people do not hurt your confidence. Only you can hurt your confidence. Mistakes will happen, move forward – You should understand that all athletes will make mistakes. Great players quickly rebound and re-focus on their game. Use you past experience as the base support for confidence. How many years have you played the game of soccer? You deserve to have stable confidence. It’s up to you to improve and maintain a high level of confidence in your skills. Nothing can make you doubt your ability but yourself.